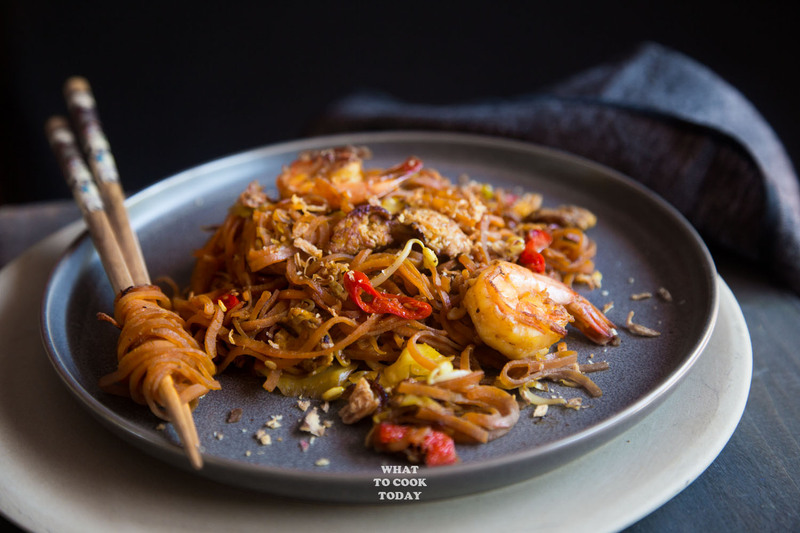 Asian-Style Spiralized Sweet Potato Noodle Stir-fry – Healthy and nutritious spiralized sweet potato noodle are stir-fried with veggies, chicken, shrimp, and Asian sauce. It’s a low carb meal. They don’t even taste healthy! They taste AWESOME! A Spiralizer has really changed my life! I’m a HUGE noodle freak exists on this planet earth. 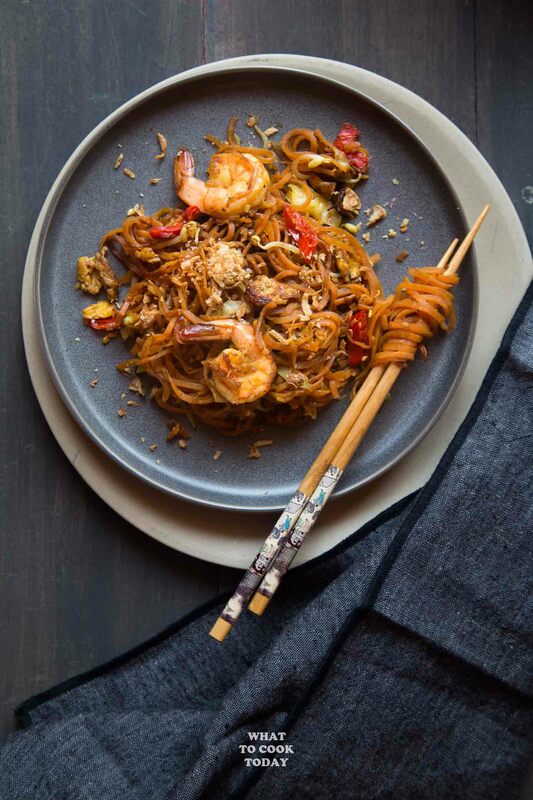 When it comes to noodle stir-fry, let’s face it, you can’t just eat 2-3 bites! (At least I can’t!). Some days I do go all out and nobody’s counting the carb! But there are days that I’m a bit more carb-conscious and trying to cut down on them. 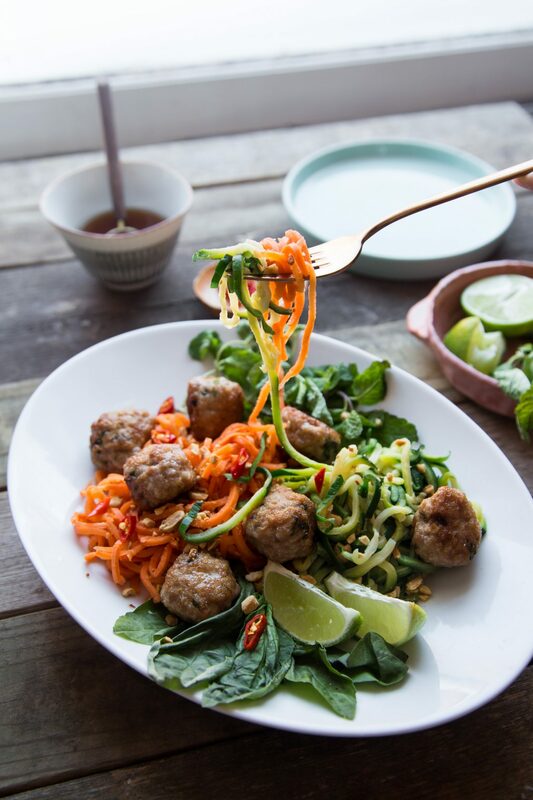 Here’s where spiralizer comes in! 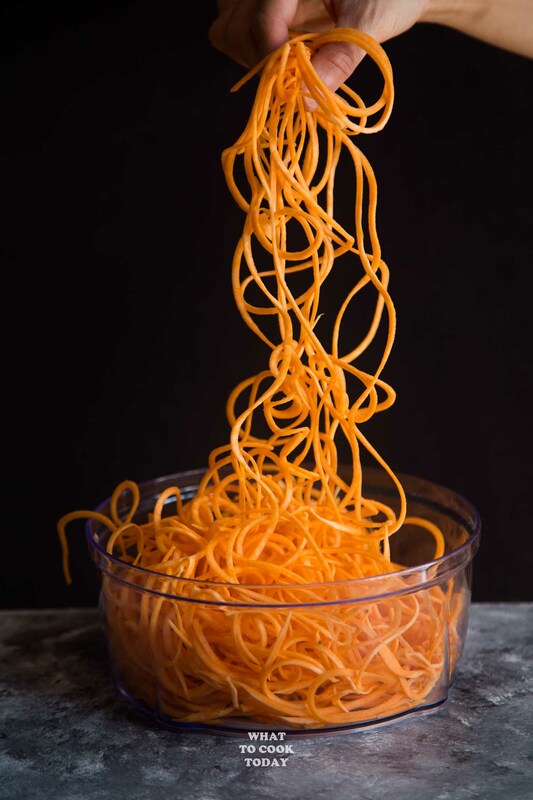 The spiralizer can pretty much spiralize many things, just to name several of them like zucchini, carrots, sweet potatoes, beets, apple, cucumber, potato, and many other root vegetables. No, they don’t make the dish tastes like noodles. But you know, the visual of it. It makes eating veggies so much more fun. 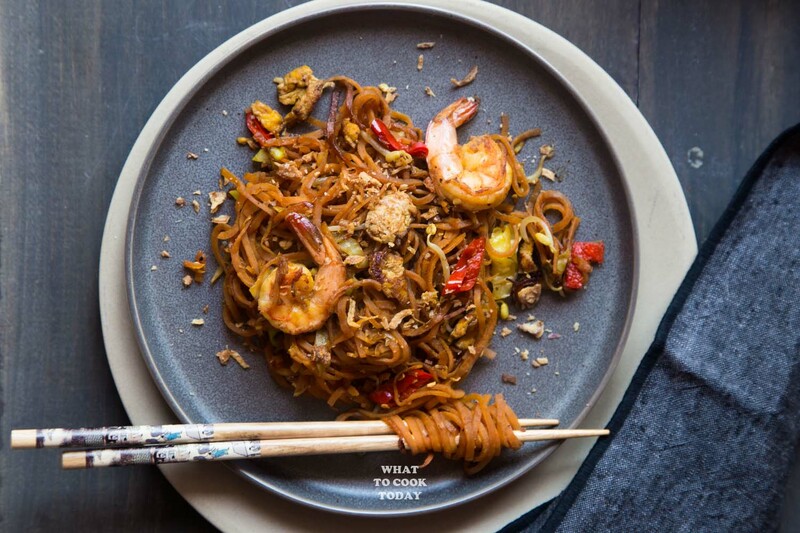 It makes eating low carb “noodles” pretty “realistic”. It fills me up with quarter of the guilt compares to eating carb-loaded regular noodles made of wheat, rice, or tapioca flour. 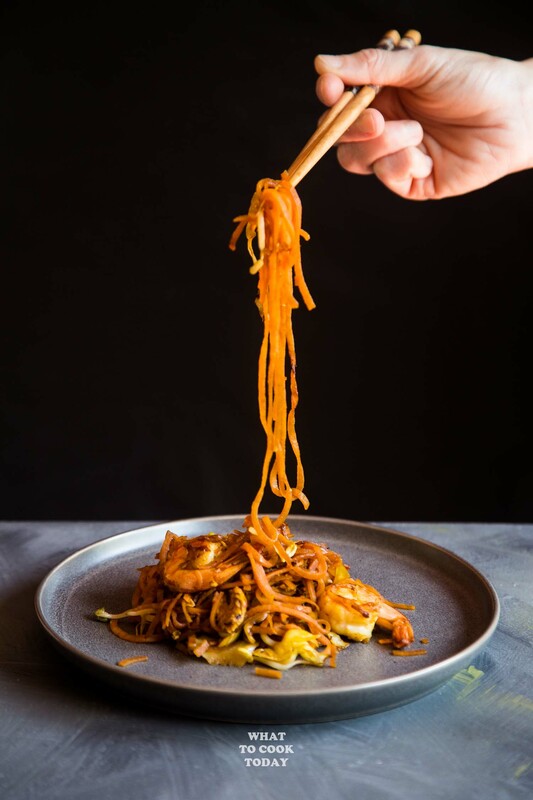 Lately, many companies have launched their spiralized veggies. They are good ones too without preservatives or any additives. They are frozen and cooked easily too. So, no excuse really LOL! You can cut the chicken, shell the shrimp, chop the garlic, shred the cabbage, and spiralize the sweet potatoes (if not using store-bought) one day ahead. If you look at the recipe, I like to cook the protein first and then dish out. 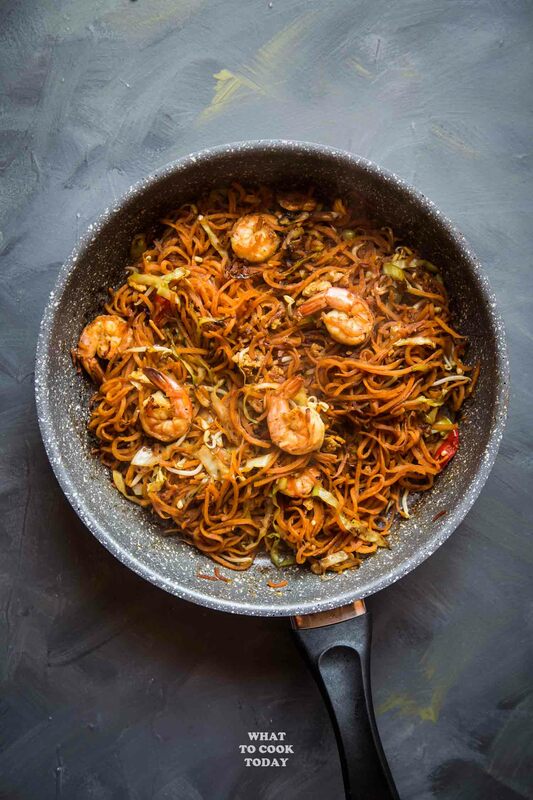 Everything still cooks in one skillet/wok, but by doing this, I won’t be overcooking or undercooking the chicken and shrimp, because both do not cook at the same time. 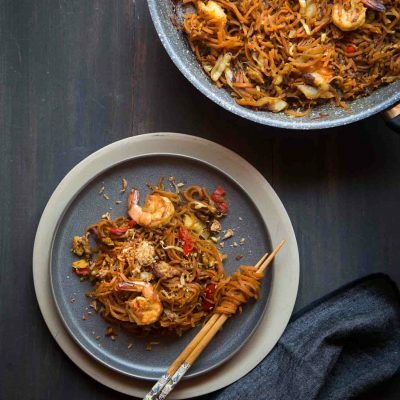 Never do a stir-fry on a cold skillet/wok. 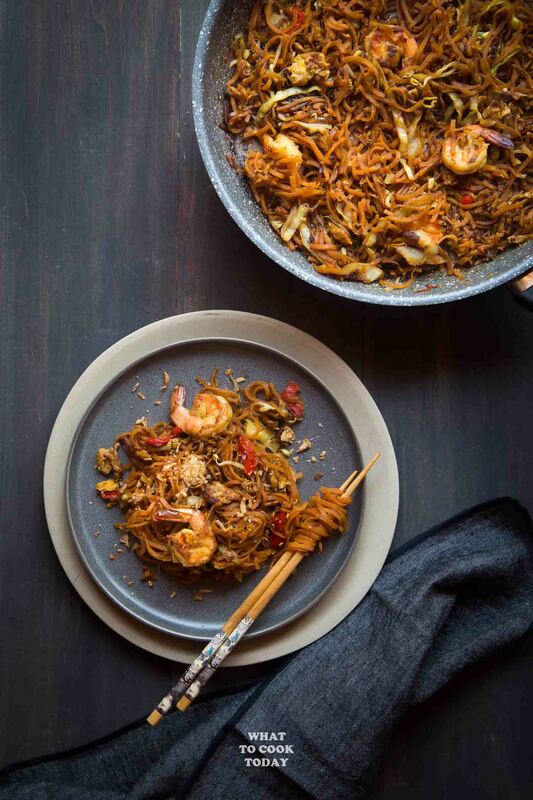 Your stir-fry will be absorbing too much oil and flavor will not develop much. It’s going to look and taste SAD! 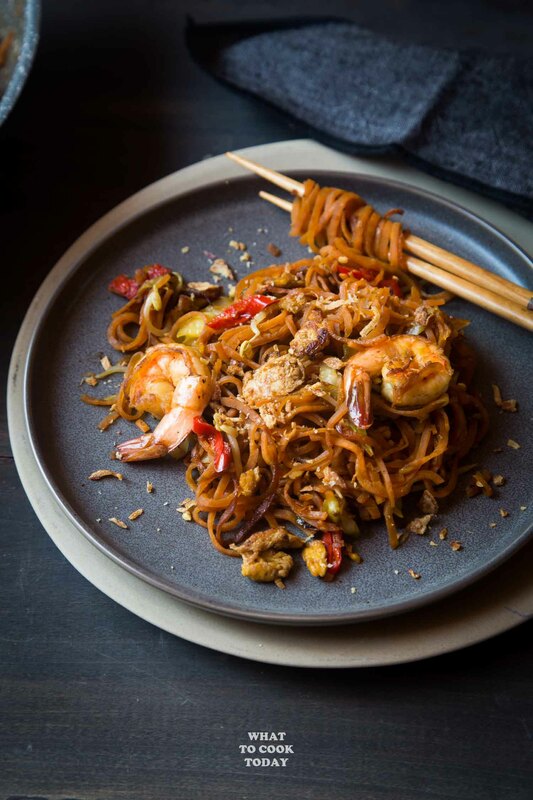 Healthy and nutritious spiralized sweet potato noodle are stir-fried with veggies, chicken, shrimp, and Asian sauce. They don't even taste healthy! They taste AWESOME!